Row breaks out between party and biggest backer over claims of candidate selection 'stitch up'. A furious row broke out on Tuesday between Labour and its biggest financial backer over the selection of a candidate for the next general election. The party announced it will impose a candidate in the Westminster seat of Falkirk, after claims that the Unite union was trying to "stitch up" the selection by cramming the constituency with new members. An internal report considered by officers of Labour's ruling National Executive Committee at an emergency meeting on Tuesday found "sufficient evidence for concern" about the legitimacy of some new recruits to the Falkirk party. The NEC put the constituency into "special measures" and announced that the process of selecting a candidate for the 2015 poll will be taken over by the national and Scottish parties. 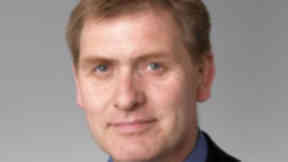 Unite responded with fury to the announcement, which appears to have put paid to the hopes of its favoured candidate, Karie Murphy, who has worked in the office of Labour election co-ordinator Tom Watson. In a statement, the union said it rejected the decision "on behalf of the many decent trade unionists who have joined the party in good faith and are now to be denied any say in the choice of their Labour parliamentary candidate". 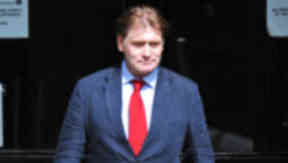 A new candidate is needed due to the resignation from Labour of sitting MP Eric Joyce in March last year, following a brawl in a Commons bar. Complaining that no allegations had been put to the union, Unite said: "The intervention by party officials into this process has been driven by Blairite pressure to exclude trade unionists from any influence in the Party — an ambition clearly spelled out by Peter Mandelson last month. "Trade unionists will draw their own conclusions regarding the integrity of the party's procedures." Labour has refused to reveal how many new members joined in Falkirk after Mr Joyce quit the party, though press reports suggest Unite may have recruited 100 or more. All those who joined the party in Falkirk after March 12 2012 will have their membership frozen. General Secretary Iain McNicol has been asked to conduct a review of membership procedures to ensure they are not open to abuse. A senior Labour source said it was "too early to say" whether any individual would be excluded from the all-woman shortlist, but added that the party would want to maintain the highest standards in its selection. No time-frame has been announced for a candidate to be chosen. In a statement, a Labour spokesman said: "After an internal inquiry into the Falkirk constituency, we have found sufficient evidence to raise concerns about the legitimacy of members qualifying to participate in the selection of a Westminster candidate. "As a result, NEC officers today decided a series of measures are needed to uphold the integrity of the Labour Party. "The Falkirk Westminster constituency is placed under special measures. The General Secretary will review internal membership procedures and advise on any changes which may be needed to ensure they are not open to abuse. "The freeze date for the Falkirk Westminster parliamentary selection will be set at March 12 2012." Under Labour's rules, the central party takes oversight over a constituency party in special measures and runs the selection process for its parliamentary candidate. Party leader Ed Miliband was not present at the meeting on Tuesday.